The Election of Barack Obama gave new life to the GOP’s 70-year campaign to discredit the New Deal. As in other areas, such as the recent denial that 9/11 even happened on President Bush’s watch so as to claim no terrorist attacks during his administration, facts need not get in the way of a good talking point. Below are a few bullet points to address some of the most common arguments, along with a few charts on point. There was a reason the out of work set up camps called Hoovervilles. The Stock Market Crash took place in October 1939 – 7 months into the Hoover Presidency. 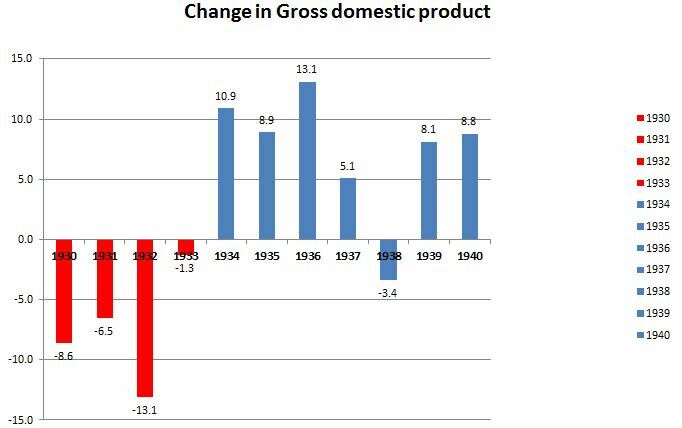 GDP would fall -8.6%, -6.5% and -13.1 over fiscal year 1930, 1931 and 1932 respectively. Not unless McCain means makes it better, then the answer is clearly no. See Chart 1 Below. (3)ONLY WWII GOT US OUT OF THE DEPRESSION. See Chart 2 and 4 below. A variation of Myth #3. Unemployment fell 10.6 points during the first four years of the New Deal (Fiscal 1933-37). 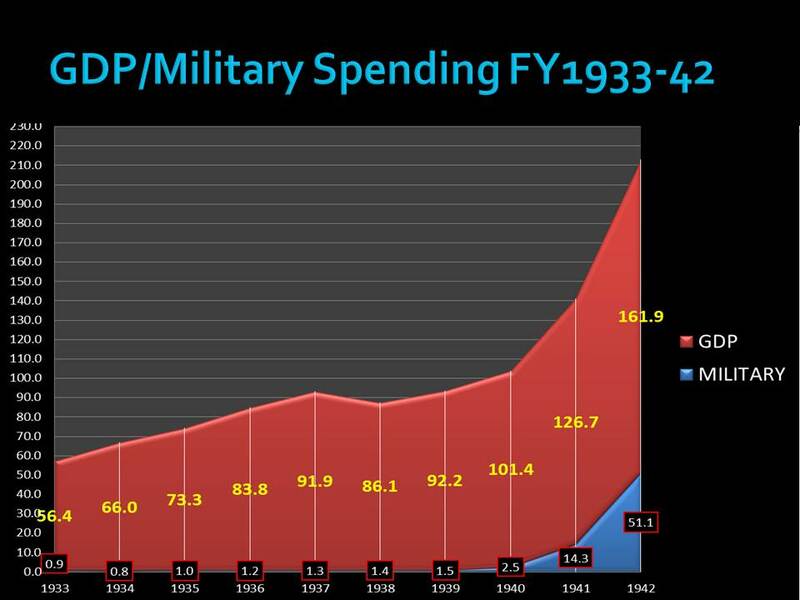 The only reason is that it did not continue to fall was because FDR cut spending to appease the Republicans which resulted in a brief double-dip recession. See Chart 3 Below. Some on the right try to disguise this by counting those employed by the New Deal as unemployed since they are not private sector employees. Finally, the right is too busy calling FDR a Socialist that they would not dream of giving him credit for saving the jobs of the Mr. Potters of this world. That’s right, bank failures dropped from 5,453 in 1932-33 to only 35 in the following two years. Tags: New Deal, republican lies about new deal. Bookmark the permalink.